Hos Dorte: ABC Christmas Challenge, midway reminder Q is for..
ABC Christmas Challenge, midway reminder Q is for..
You still have a week to join in. and our wonderful sponsors here. in front of Wham's song tekst "Last Christmas"
It's also a Magnolia stamp. If you know the song I will guess you are singing by now! I have made a blue frame with two Spellbinder dies. Edwin has glitter on his wings. The lovly papers are from Ladybug and Friends. The ones I always uses! The backside with my personal stamp. beautiful flowers from Kort og Godt. I have used this sketch from Simply Magnolia, wonderful! What a beautiful card ! Thanks for joining us at DML. Love from Holland , Christa. Gorgeous card Dorte...love the flowers & pearls! 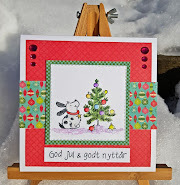 Very pretty, love the Christmas song stamp as your focal point with Edwin. Thanks for playing along with us at Whimsy Inspiration challenge. Fabulous card, love the papers and embellies. Thank you for joining in the Totally Papercrafts Challenge this week. Sorry i am a bit late ... but back fromom holiday and feet yet to touch the ground!! Så flott kort du har laget! Fint malt motiv og fine farger. Takk for at du deltar hos JM/HS denne uken. 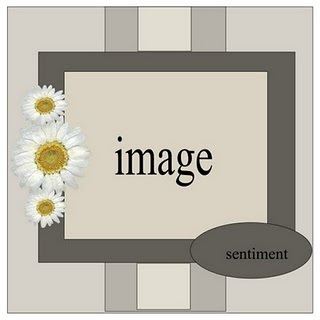 Beautiful card Dorte, love that sweet edwin and your disign. Thank you for joining us at Winter Wonderland this week. Good luck. Adorable card! 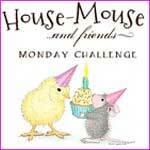 Thanks for participating in the the Whimsy Stamps challenge! Hi Dorte...what a lovely card...as you already thought: I'm sitting behind my desk singing now...thanks for joining Whimsy Inspirations Challenges!...hope to see you next week again! Og så lekkert tekststempel!! Hvor har du fått tak i det? ?